Full house renovation including attic conversion to create two additional bedrooms and a bathroom, conversion of garage into utility room and playroom, new central heating system, partial re-wiring, new windows, new kitchen and four new bathrooms. 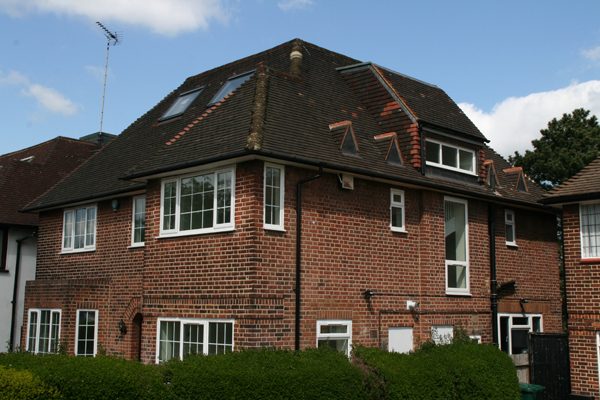 R&B Building Services have carried out large scale conversions, alterations and renovations on larger properties such as this house in North London. We can project manage all aspects on renovations of this size, and can supply all required trades and supporting services including; planning and design, estimating and structural compliance. We retain all trades required – from the foundations to the floor finishes.